Our chocolate is pure pleasure. The most important prerequisite for good chocolate is, of course, good taste. So we painstakingly perfected the taste of our chocolate before carving it into its iconic design and sealing it with gold wrapping, which we covered with fun facts about chocolate, the city and the mountain. The result is an informative souvenir and indulgent treat wrapped into one. Our milk chocolate contains 43% cocoa, while our dark chocolate contains 70% cocoa. Our cocoa is harvested entirely in Africa. We do not use vegetable fats; we use only the finest ingredients, which are locally sourced and manufactured in our factory. Table Mountain Chocolate is a proudly South African product. The unmistakable delight you feel when you encounter Cape Town and its majestic Table Mountain for the first time is what we wanted our chocolate bars to capture and invoke. The exhilaration occurs across all five senses. Our chocolate is pleasing to the eye and silky smooth to the touch. You smell the cocoa aroma as soon as you unwrap the golden foil; you hear the clear, clean crunch when you bite into the bar. Finally, you enjoy the unparalleled taste sensation of pure, high-quality chocolate as it melts in your mouth. Hungry yet? Satisfy your craving and order now. Table Mountain Chocolate began with a crazy idea: finding a way for people to hold the iconic Table Mountain in the palm of their hand. 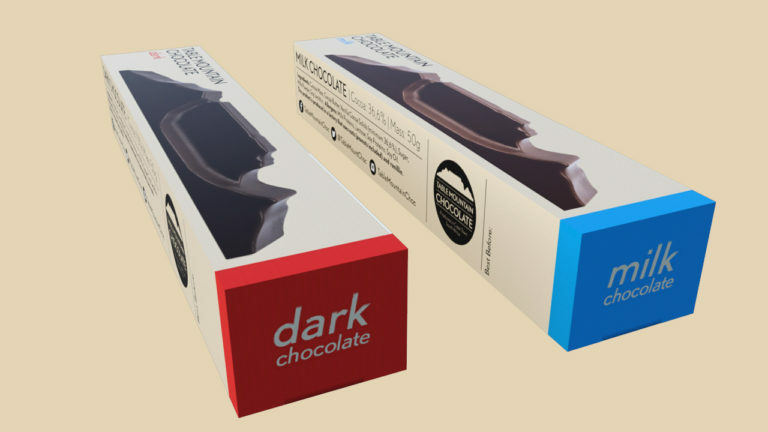 In February 2013, we succeeded with the launch of the only Table Mountain-shaped chocolate in the world. Heading back home after a holiday in Cape Town? Don’t just return with photos: take the mountain with you. Hold it in the palm of your hand whenever you need a piece of Cape Town. Share it with your loved ones back home (or not—we won’t blame you). Return home from the southern-most tip of Africa with a sensory explosion that can transport you back there any time. The path from Lion’s Head to Devil’s Peak has never been this tasty! Taking care of people, nature and the environment lies at the heart of our business philosophy. We make our products with love and care: our raw ingredients are all locally harvested and of the highest quality. We are an eco-friendly company, using only recycled paper to package our chocolates. 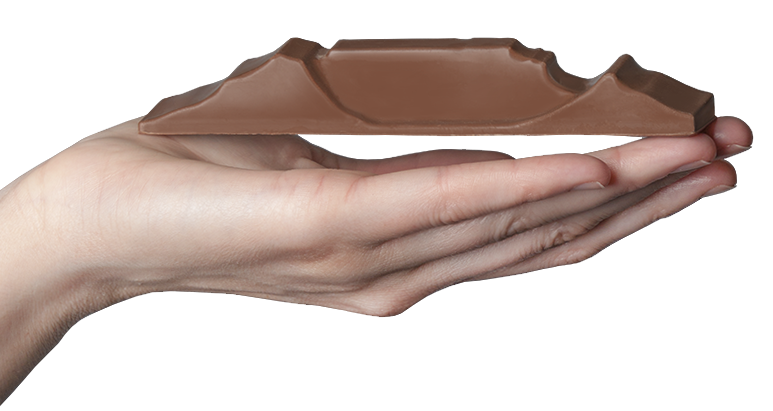 When you buy our chocolate bars, you are supporting job creation and environmental responsibility in South Africa.